Spend the afternoon learning how to make a beautiful decorative Christmas tree using traditional and non-traditional basketry techniques. 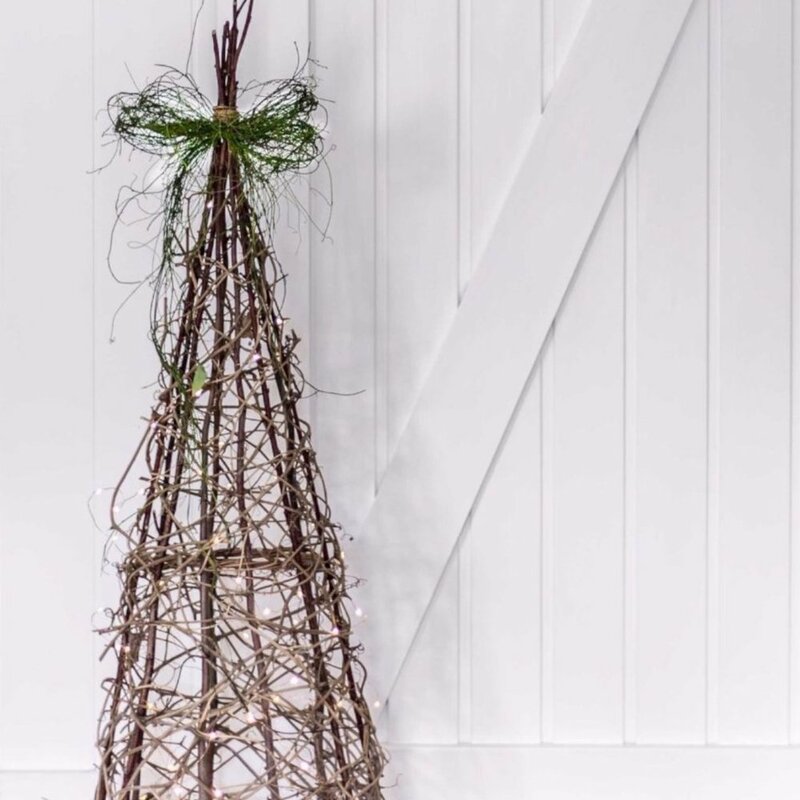 The Christmas tree will be constructed from all natural products including foraged sticks, willow and vine. It is the perfect solution to a sustainable Christmas tree and would make a beautiful handmade Christmas gift. All materials to make tree are supplied and included in ticket price. 4 metre Battery operated Copper fairy lights are included in the price. Additional decorations are not included. Michael Buble will be playing, bubbles will be on offer, and there with be an abundance of Christmas spirit to encourage you as you learn.